71. Painting Glass With Morse Code! Beautiful flower shot. I like this thiny yellow dots. Love Orchids! I have a couple inside the house! Your orchids are so pretty. These are gorgeous. Have a fabulous week. They really are amazing flowers! Like little ballerina's whirling around. Thanks for showing. Joining your party! Nothing like yellow to start out the week! I love the peek-a-boo action with the yellow in the blossoms. 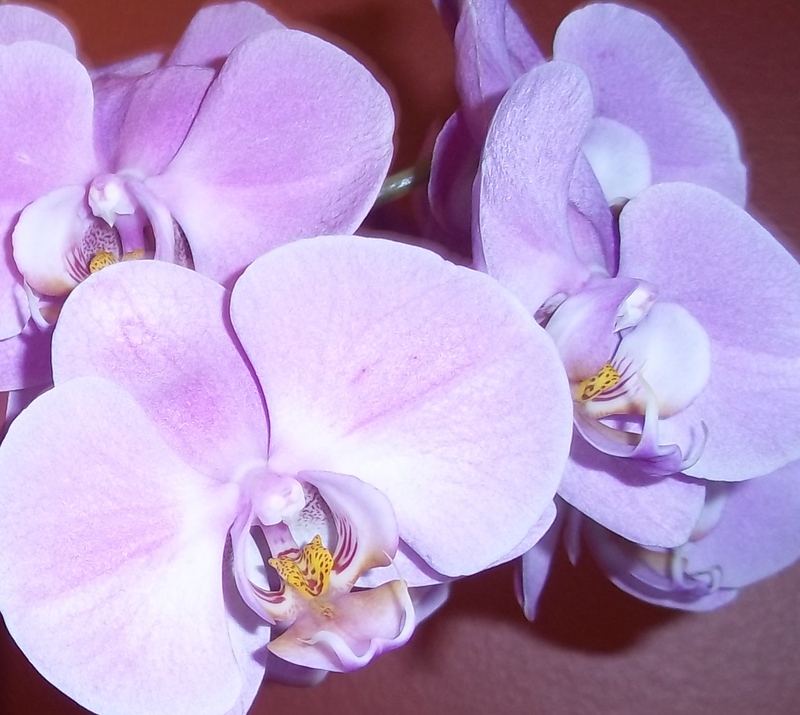 Orchids are always lovely photo subjects! That yellow does get noticed! Nice shot, depth of field can be very tricksy with flowers, this is spot on. A long list today! The flowers are gorgeous. Beautiful flowers :)dropping by for my share to Mellow Yellow.